WHAT PART OF MY BODY ARE STEM CELLS TAKEN FROM? 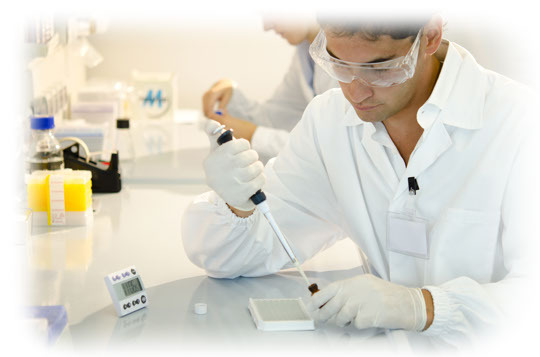 There are two main sources that we can extract your stem cells. Bone marrow derived stem cells are aspirated from your iliac crest (top of hip bone). Adipose stem cells are frequently extracted from the stomach area. What is the extraction procedure like? Aspiration is typically from the iliac crest (top of hip bone) where plasma, blood. and stem cells are retrieved. This is done under local anesthesia. Sedation, while not necessary, is available. The aspiration is then concentrated for regenerative cells. This whole process takes less than an hour. Afterwards, your concentrated cells are ready to be delivered back to the area of the body that needs to be treated. WHAT ARE SOME CONDITIONS BEING TREATED? Plantar fasciitis, and many others. HOW DO I KNOW ADULT STEM CELL THERAPY WILL WORK? IS ADULT STEM CELL THERAPY SAFE? Decades of clinical studies have been published showing that stem cells are safe and effective. You should not have any adverse effects using your own stem cells. HOW LONG WILL THE STEM CELLS REMAIN EFFECTIVE? Their effect and persistence will depend upon your specific prognostic factors including the type of injury treated, your diet, medication use, and other medical conditions you may have. Ask us if you are a candidate. WHAT IS THE RECOVERY LIKE AFTER A STEM CELL PROCEDURE? Treatment is in-office or outpatient. If you’re having a joint injection, you typically can go back to work that day. It is advised to limit load-bearing activities for at least 2 weeks. if you’re having a disc injection, you are asked to take it easy for a few days. Embryonic stem cells are derived from embryonic tissue and can transform into any of the more than 200 different human tissue types. Think of the fertilized egg as the ultimate stem cell, able to differentiate into all the tissues and structures to make a complete human. However, there is considerable controversy surrounding the use of these cells because the source is an embryo, creating ethical, legal and religious challenges. Use of embryonic stem cells in the United States is tightly regulated. Federal funding of research using these cells was lifted by Executive Order in 2009, but many states still ban any research using these cells. There are currently only two trials available using embryonic stem cells in the US, both are in Phase I (safety and tolerability). So the promise of using these cell types is still many years, if not decades, away. Fortunately, there are other powerful regenerative options available. Adult stem cells reside within different adult tissues such as bone marrow or fat tissue. These are also known as mesenchymal stem cells (MSC) and can transform into cartilage, bone, muscle, ligament or tendon tissue. Their ability to regenerate cartilage and bone makes them potentially useful for the treatment of orthopedic conditions. The use of a patient’s own adult stem cells (autologous stem cells) for treatment avoids the potential ethical issues and immune rejection issues that might be present for embryonic derived stem cells (allogenic stem cells). Adult stem cells are normally present in the body to regenerate cells and promote tissue healing. Unfortunately, the number of stem cells begins to decline shortly after birth and fewer stem cells means less effective healing. This is one reason why our body accumulates more wear as we age. Stem cells lie dormant in the bone marrow and fat until they receive signals that an injury has occurred. Platelets (cells in the blood) lead stem cells to the injured site and release growth factors that regulate inflammation and stimulate new cell growth. The body’s tissues are under constant renewal, some tissue having quicker turnover than others. Indeed the average age of a cell in your body is about 10 years old. Adult stem cells are responsible for this normal regeneration, maintenance and healing. Harvesting adult stem cells from bone marrow or fat (adipose) tissues, concentrating them and administering them to an injured patient has demonstrated great promise for the treatment of chronically painful or incompletely regenerated injuries. How are stem cells used for medical treatment? Clinical use of these tissues has to be consistent with the Food and Drug Administration (FDA) requirements including homologous use and minimal manipulation. For better or worse, use of these tissues without meeting these requirements is illegal. For example, the FDA considers using the stromal vascular fraction (aka SVF) of fat cells, processed enzymatically, as tantamount to producing a drug without a license and is illegal. 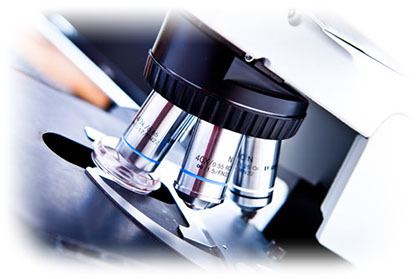 Which stem cell treatments do we offer? The San Diego Center for Regenerative Medicine uses advanced, FDA compliant techniques to harvest a patient’s own adult stem cells for treating a variety of degenerative and inflammatory conditions. This level of treatment may be more powerful than platelet rich plasma (PRP) as the implanted cells can differentiate and replace damaged tissue or because of the long term anti-inflammatory and repair signaling effects.